Piano Sonata No. 18 in E Flat Major, Op. 31 No. 3 "La chasse"
Piano Sonata No. 14 in C Sharp Minor, Op. 27 No. 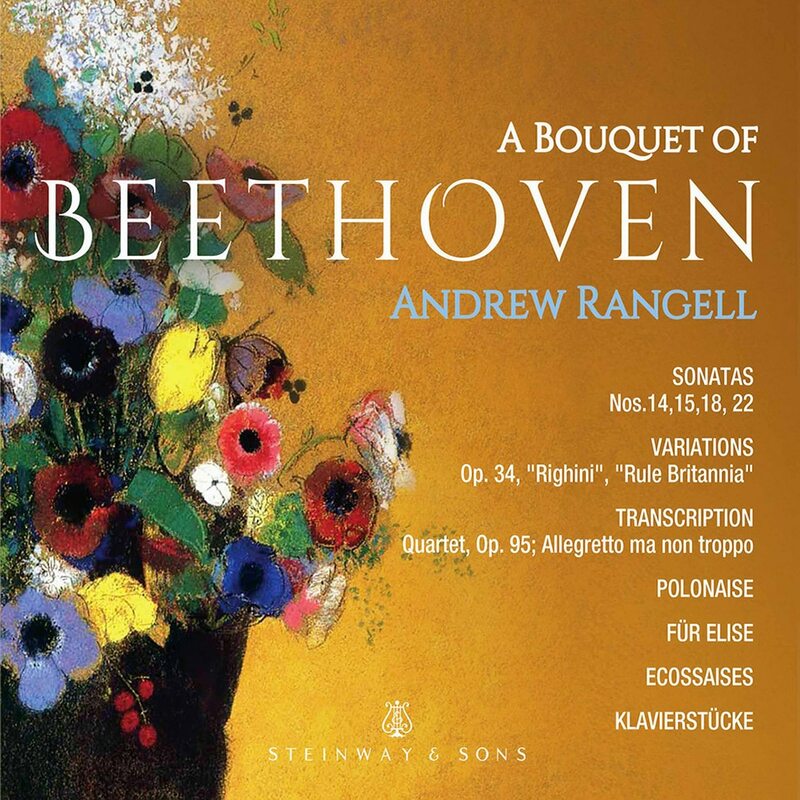 2 "Moonlight"
This release sees American pianist Andrew Rangell—known for his highly individual and inventive approach to repertoire old and new—perform an unexpected and charming selection of Beethoven's more rarely heard works. Combining short pieces inspired by folk dances such as the Polonaise in C Major and the 6 Ecossaises with bagatelles, excerpts from sonatas, and several variations, this eclectic album shows a lighter side of the great composer, but one that is no less engaging.